I was excited to see this wine come in my delivery from NakedWines.com. Not regularly exposed to Spanish or Portuguese wines, my main experience with Verdelho has been with those from California. And I have to say Lodi is the up-and-coming region to watch when it comes to these (as of now) “lesser known” grape varieties. So, when I learned the grapes were harvested from Lodi, and the winemaker cut her teeth on Napa wines — great experience plus great fruit has to equal phenomenal wine, right? It’s probably one of the best wine clubs you can join. With a broad portfolio of wines from around the world, it’s fun and easy to pick what ships in your monthly delivery. Added bonus: these aren’t the wines you’ll find at your local grocer, wine shop, or traditional online wine retailers. That being said, I know very little about the winemaking methods for this wine. What I can tell you is that Ana Diogo-Draper is a Portugal-born winemaker who made her career in Napa. 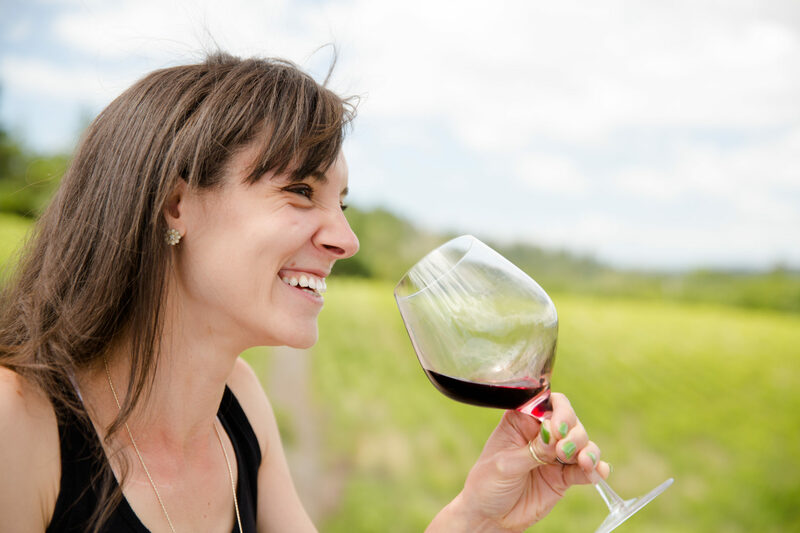 In a little over a decade since her move to California, she’s gone from harvest intern to Director of Winemaking at Artesa. Well, I enjoyed this one too, Ana. Flavor Profile: Open the bottle of the Ana Diogo-Draper 2016 Verdelho and find fun, if not funky scents, which I finally deciphered as green apple, citrus, and melon. This Verdelho presents pretty much clear on the pour with just a tint of yellow, settling into the glass actually quite dull — like a dull straw or even a rough sand. Initial aromas are of white chocolate, passionfruit curd, moist green grass, and a river rock minerality. Swirl and release more of that grassy/greeny aroma as well as lemon grass, coriander, and lime leaf. The palate of the Ana Diogo-Draper 2016 Verdelho has a light texture to the tongue, an acidity that presents itself as a subtle sourness and salivation around the perimeter of the palate. After that salivation subsides, the finish itself is pretty leveling, with just a bit of dryness to create a clean palate. Dominant flavors are of orange zest, lime and lemon pith, lemongrass, coriander, dry grass or hay, lettuce leaf, and white pepper. Food Pairing: I paired the Ana Diogo-Draper 2016 Verdelho with spiced jumbo prawns, corn purée (mixed with fresh, roasted corn kernels and petite diced and grilled jalepeño and red peppers), and garnished with fresh coriander leaves, fresh diced spring, and curry-spiced almond slivers. First off, this dish was amazing. Full stop. Second, I can’t think of a better pairing for this Spanish-inspired dish than this Spanish-inspired wine. The almost “dull” finish was perfect with all the spices that went into the dish. The acidity, being fairly subtle, meant that it didn’t fight the acidity in the dish. I often times worry about white wines, in general, “trying too hard” to make a statement to the point that they fight other flavors in a meal if not paired perfectly. Well the overall subtlety of this wine, the fact that it had that bit of texture to it and, again, the kind of flat finish (I’m trying to say this is a good thing), was the perfect accompaniment to this robust meal. More Info: I received the Ana Diogo-Draper 2016 Verdelho as a sample for review. (Cheers to NakedWines.com). Retail: Currently unavailable. To learn more about Naked Wines, their angel program, and to purchase wines directly, please visit NakedWines.com.